Phool Patti Organization is a social entrepreneurship project aims to promote the colorful and positive impact of Pakistan to the world. 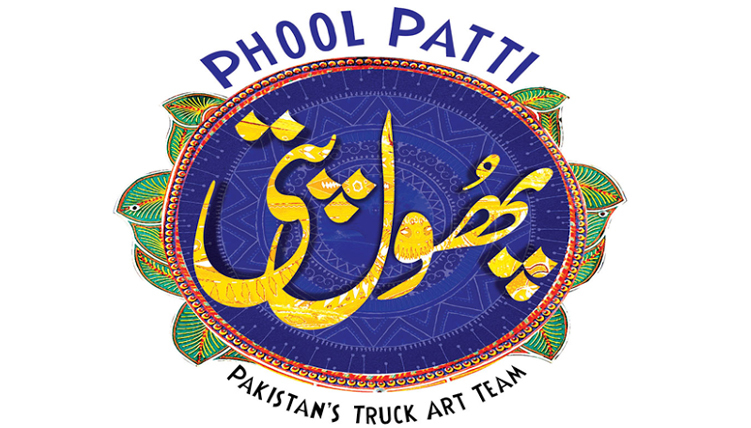 Through portraying our very own culture of Truck Art, Phool Patti Organization believes it will be able not only to depict the positive side of Pakistan but also helps to improve the status and living standards of Truck Artists. 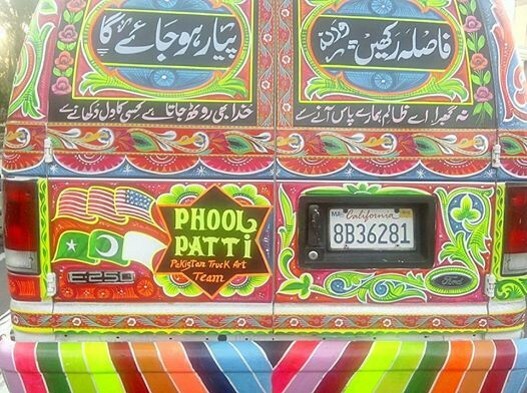 Wherever in the world, you see the creative truck artwork, Phool Patti organization is behind that effort. A few days back, tubelight.pk team got a chance to talk to its founder, Ali Salman Anchan. Lets’ see what he has to tell us. 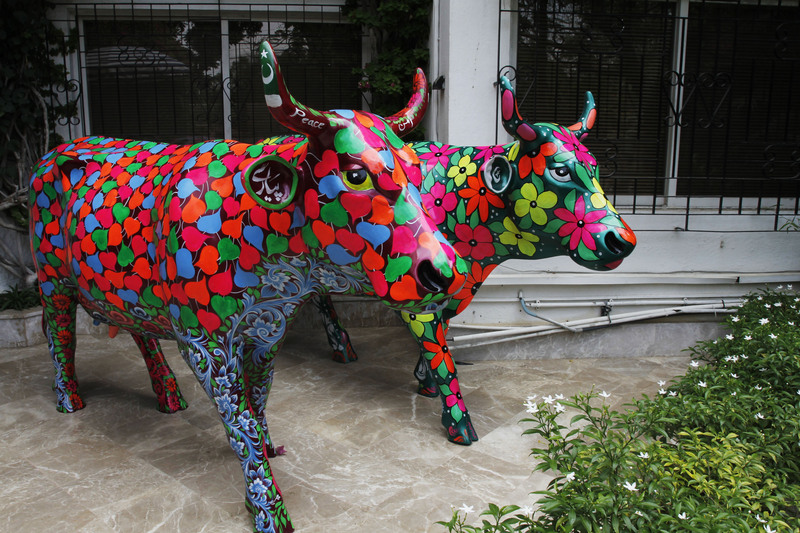 Ali Salman Anchan: A social and cultural entrepreneur who is the mastermind behind this concept. He did Bachelors in Arts by qualification. Being a founder and creative director of Phool Patti Organization, he strives hard to provide the Truck Artists, an identity they deserve. He broadened the scope of Truck Art to walls, bridges, consumer products, fashion industry, portraits and service industry like restaurants and clubs, tourist companies. 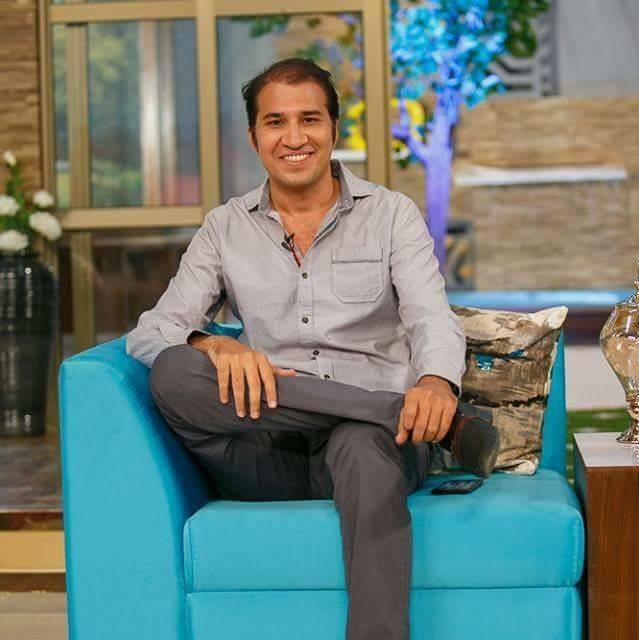 Mr. Haider: The backbone of Phool Patti. Being a CEO of the Project, his exclusivity to ideas is his key strength. He is also the Head of Truck Art Division. He started getting his Truck Art training from his father when he was as little as eight. At the age of 16, he got his 1st truck painted under the master supervision. He is keen, devoted, hardworking and very focused. 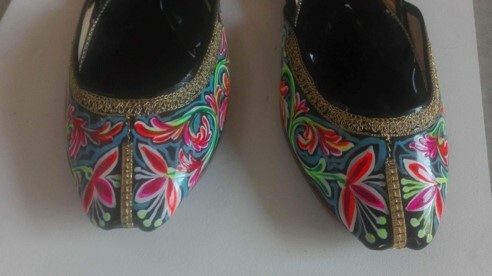 Mr. Mumtaz: Adding unique value to the firm as a Phool Patti Director and Master of Truck Art. The decisions are taken by taking on board all these prominent names. Phool Patti Team is not only about these three prominent figures, there is quite a large team behind the effort of delivering positivity and colorfulness. It empowers the women and gives transgender a chance to earn respectable lives through their association with the organization. 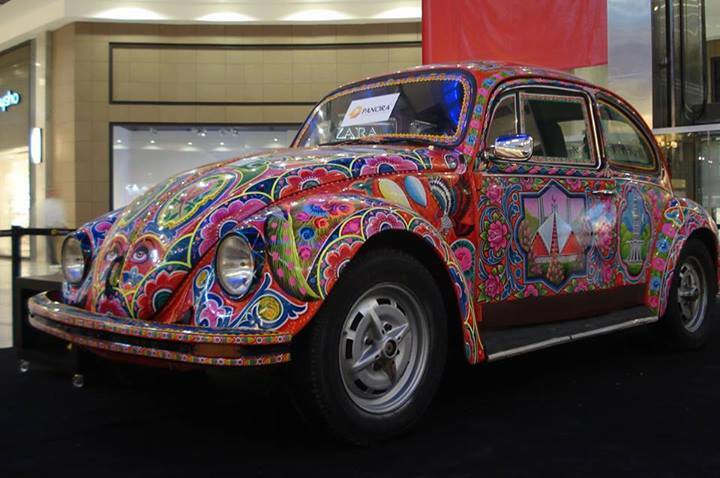 The basic aim is to revolutionize the Pakistani Truck Art. 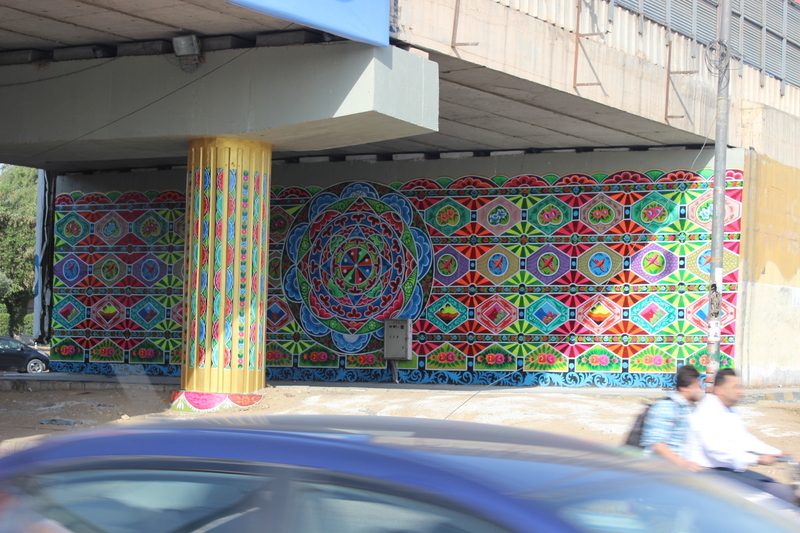 Not only work for its revival but take it to such level that the world recognizes us, the Pakistanis, through this art. 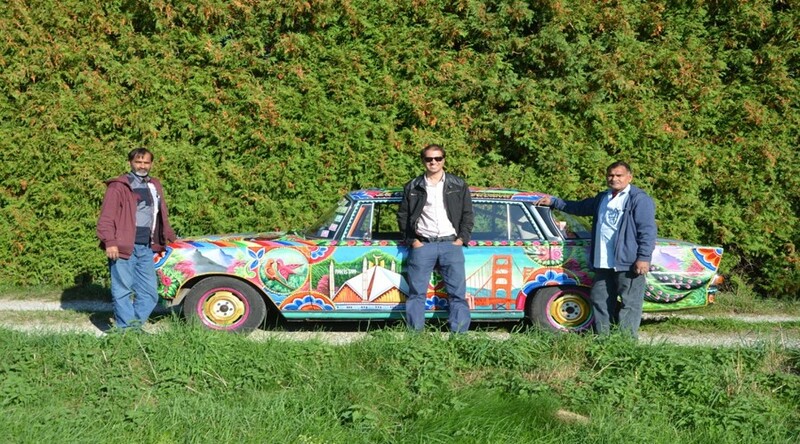 Conveying the message of love, peace, and friendship through the Truck Art is the main key. But it is not limited to that. As it owns the social responsibility, so it is dual folded. 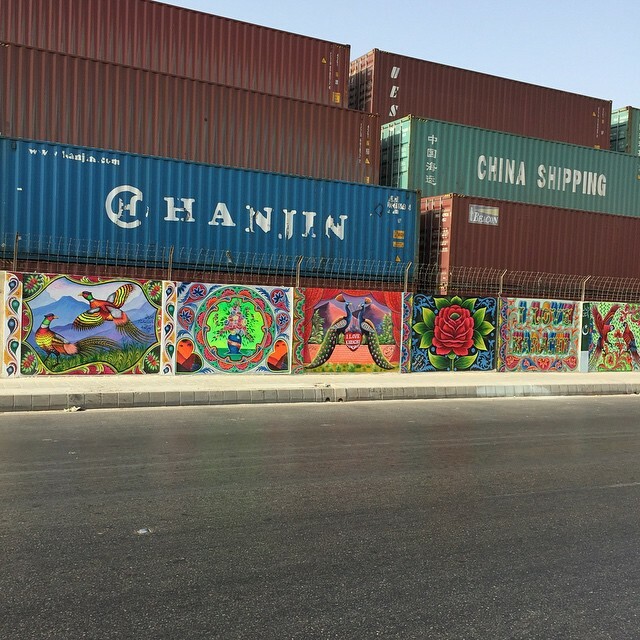 Enhancing the work opportunities for Truck Artists, as well as to improve their living standards is also one of the objectives of the firm. Our work is not just limited to a national level. 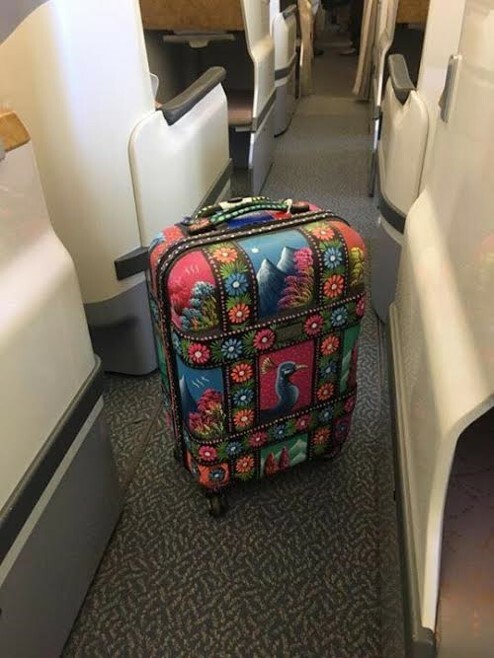 But we have been trying to promote our culture’s uniqueness throughout the world. Thus, we indulge in both national and international projects. 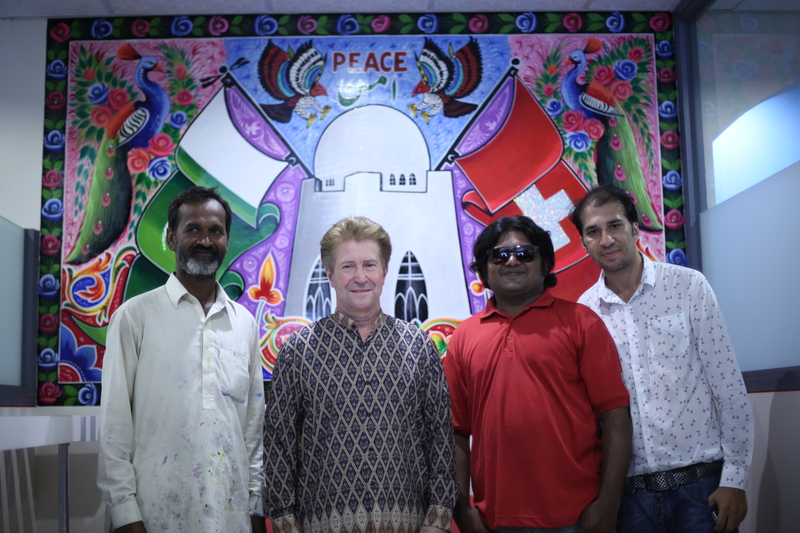 We have already worked in German Consulate Karachi, Swiss Consulate Karachi, German Embassy in Islamabad, US consulate Karachi, I am Karachi Project, Kindness Wall in Karachi, a lot of restaurants, Smithsonian Museum, design Pakistani Pavilion World Expo Astana, workshops/trainings in different universities/colleges at national and international level and many customized projects of famous celebrities. 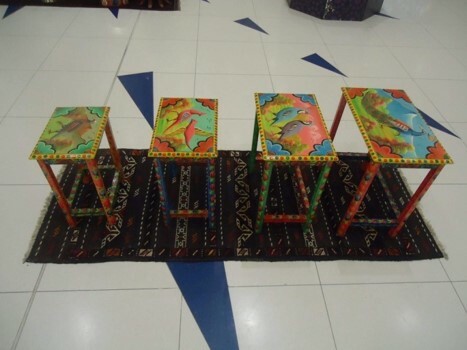 Our recent work includes painting new Islamabad International Airport in this particular theme. 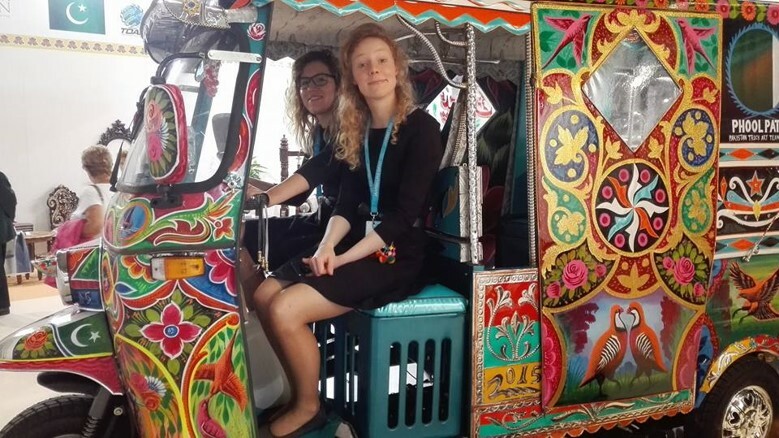 The team struggled hard to achieve cultural fusion by traveling around different parts of the world like USA, England, Germany, Belgium, Turkey, India, China, Kazakhstan and many more with a message of love and peace in their own unique, colorful and artistic way. Phool Patti feels proud that the world recognizes their efforts and appreciate them. 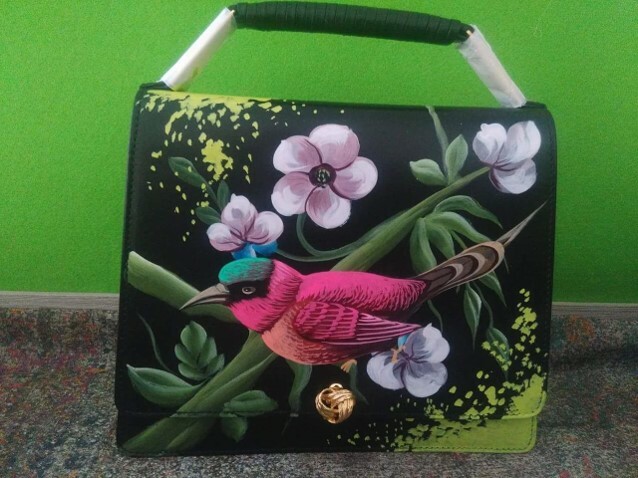 Besides all these, we also work on customized products like bags, coffee mugs, suitcases, shoes, mirrors, decorating vehicles, truck art paint on hotel lobbies, turning any event or wedding to truck art theme. These all ideas come under the creative artwork. Customer customization and satisfaction have been their key priorities. On the platform of cultural fusion, decorating the most attractive or busy spot is the thing team enjoys the most. 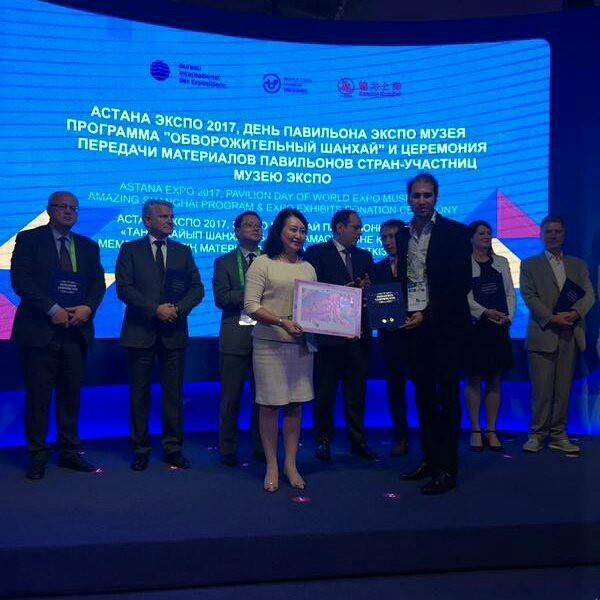 UNESCO’s’ acknowledgment as “Creative Entrepreneur of Pakistan” in 2017. 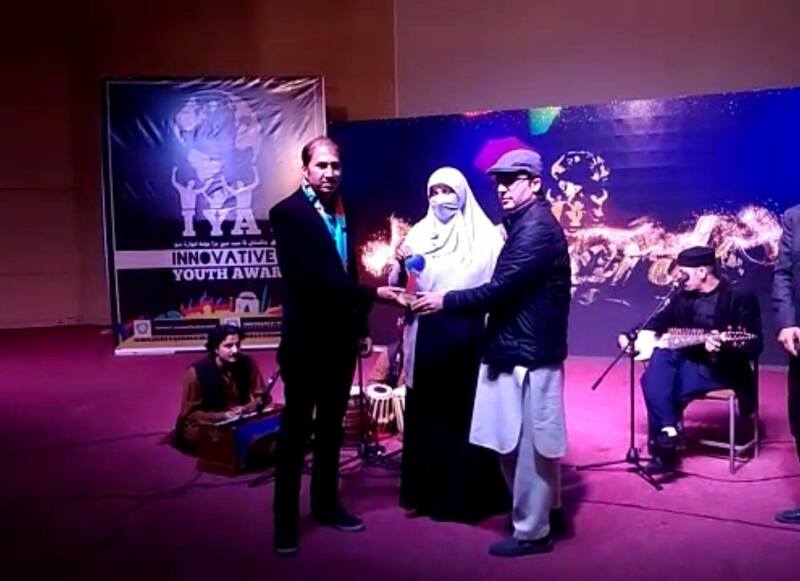 Peace Entrepreneurial Award which is one of the biggest Youth Award in Swat, Pakistan. Phool Patti Organization is awarded SATHA innovation Award 2017.
and it has received a lot of National & International recognition, acknowledgment awards and certificates. When people of Celle (a small town in Germany) raised funds for €4,600 for flood victims in Pakistan in the year 2010. That spirit and love of Celle people for Pakistan can never be forgotten. On the behalf of Pakistani people, we traveled all the way to Celle to thank them. 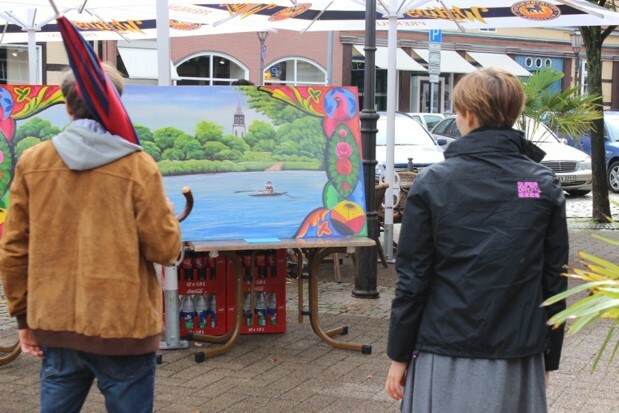 We painted Celle city picture and give it as a gift. We also painted household items for the loving people of Celle. There are many more interesting and memorable moments too. To mark all the renowned global historical places with Phool Patti. For a decade or so, an enthusiastic team of Phool Patti Organization has been working days and nights to portray our own soil art. We, on behalf of the tubelight.pk team wanted to thank Ali Salman Anchan for giving us his precious time and sharing thoughts with us. We wish them luck in their upcoming Europe tour in March/April. 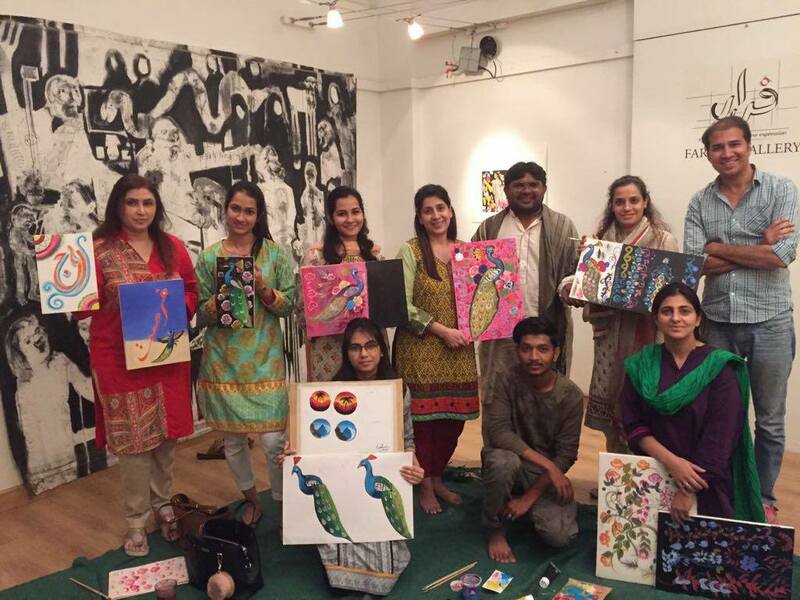 Keep up the good work Proud Phool Patti Squad of Pakistan!